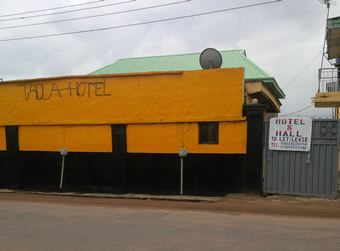 Last Friday a woman died in a hotel in Ikotun, Lagos State. The woman simply identified as Iya Ginika, had left home around 9pm on the day, telling her husband that she wanted to visit a friend in the neighbourhood but died mysteriously in the hotel. According to the residents, the woman in her 50s, had claimed that she wanted to collect something from the friend, PUNCH reports. It had been reported that the woman and her lover had stayed in the hotel around 9.30pm on Friday and paid to spend an hour. A neighbour of the deceased squealed that she had lied to her husband, identified simply as Henry, that she wanted to visit a friend who lived on Prince Adeyemi Street. « Good News! Anyone can now have Twitter’s prestigious verification badge; Here’s how! PHOTOS – Meet the contestants for Miss Bum Bum Brazil 2014.